20-Track Collection Via Ross Records/UMe Available Now! Did you catch the Macy's Day Parade on television this year? If you were watching, then you probably saw the beautiful advent calendar themed float that had the legendary Diana Ross and her family on the float, all dressed in white. Ms. Ross did an amazing job in getting the crowd that gathered in NYC, as well as those tuning in at home, into the holiday spirit by performing a song from her new holiday album, available now on CD and Digital. She sang "Wonderful Christmas Time," and it has become one of my favorite of the 20 holiday tracks that make up her new album. 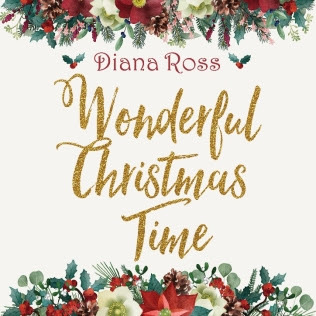 If you are looking for a new holiday CD to add to your collection, or love Diana Ross, like I do, then you will want to check out her new compilation album called "Wonderful Christmas Time" available now on CD and digital. It makes the perfect background holiday music to play during upcoming parties and gatherings, and will have family and friends singing along, and wanting a copy of this CD for themselves, so they can listen this Christmas and for years to come. "Celebrate the holiday season with style, grace and cheer with a 20-track collection from Diana Ross, titled Wonderful Christmas Time. The album is available now on CD and all major digital platforms from Ross Records/UMe. Order the new Wonderful Christmas Time CD here: https://UMe.lnk.to/WonderfulChristmasTimePR"